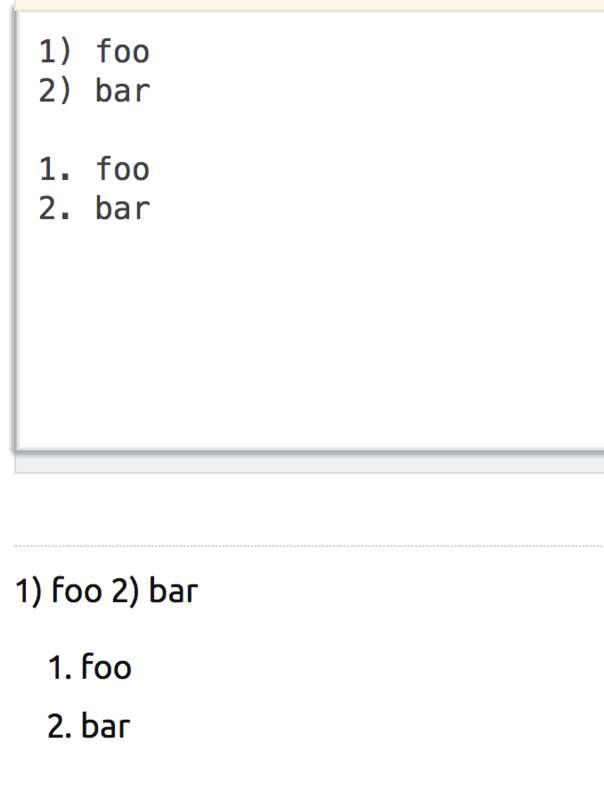 I edited an answer of a user who got distracted and forgot the Markdown syntax, using 1) instead of 1. for writing an ordered list. Therefore the HTML code did not get generated correctly. I could have left a comment instead, but it is obvious that when you spot a typo or a honest small mistake the quickest thing to do is just editing it. Especially after reaching the 2000 rep mark, so you do not clutter the revisions queue. Now the user reverted my edit and the formatting is wrong again. I would like to avoid an edit war. What is the best course of action? In this case I would suggest doing nothing, because the post is readable as it is. 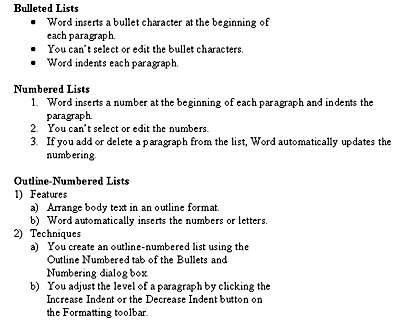 It would look prettier if its two list items were in an actual ordered list, but the 1), 2) formatting is readable here because both the list and the items in it are short. 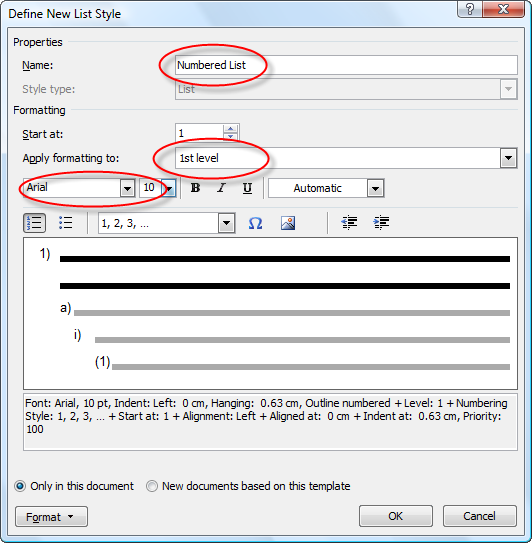 The formatting is only "wrong" if the actual goal is to cause HTML code for an ordered list to be generated. That the author undid that part of your edit suggests that they don't want this. Although authors don't have final say about the content of their posts against established policy or strong community consensus, I don't think there's an actual problem here that needs to be solved. Note that this is specific to that particular post. I am not saying that all instances of authors undoing formatting improvements can or should be ignored. Unless it's already clear or there's some reason to think it would go badly, in cases where it actually matters I would suggest using a comment to ask the author (politely) why they've reverted the improvements. It would definitely be appropriate and acceptable to do that here. I just think in this case it doesn't matter all that much. 14.04 is 3 1/2 years old, so two possibilities instantly come to mind. 1) The software is no longer available. 2) The software is no longer compatible with 14.04 because of updates. ie it depends on newer libraries. 1. The software is no longer available. 2. The software is no longer compatible with 14.04 because of updates. ie it depends on newer libraries. Notice that you did not merely change 1) and 2) to 1. and 2.; you also added a blank line to separate them. 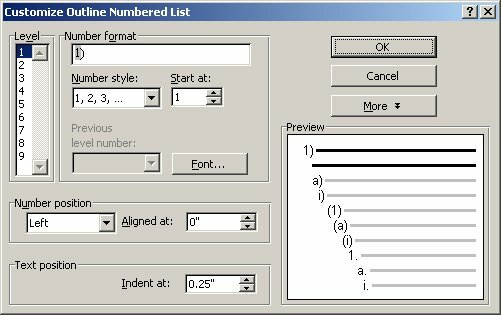 You had to do this to make the list formatting work... but I would consider that blank line, rather than the list formatting itself, to have been the more important improvement in this case. This is reflected in the way the post is displayed. The list is clearly separated from the sentence that introduces it. Thus your efforts have not actually been wasted. As a final thought, if the post were edited more extensively--in some way that would be appropriate even if the current concern about formatting did not apply--I think it would be fine to reformat the list, too. But I wouldn't suggest anyone do that unless they were going to anyway. 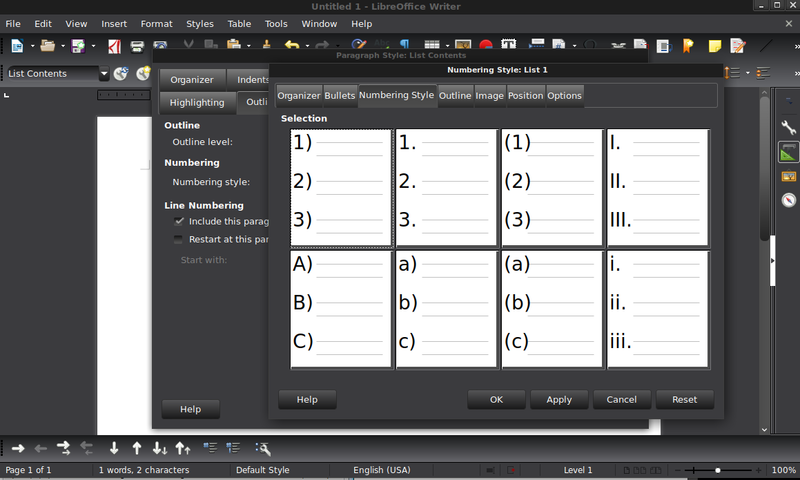 As can be seen from the following images, my formatting is not incorrect. The use of the parentheses is formally accepted. And since the text is less than one line, paragraph blocking is unnecessary and unwanted. Changing the parenthesis to a period makes no improvement to the post. The period does not noticeably separate the numbering from the text, and looks atrocious to me as a period is used in the 3rd sublevel iteration. Now as Eliah stated in his answer, quit editing my posts frivolously. Not the answer you're looking for? Browse other questions tagged discussion editing formatting markdown . What to do when a user deletes a famous question?